Bring your business into the 21st century with exterior glass resurfacing. 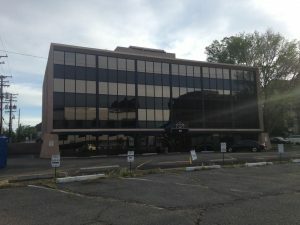 We offer exterior window film installation for businesses in the Colorado Springs metropolitan area. Exterior window film has the ability to achieve a fresh new look for older buildings that look worn out or run down. It works to rejuvenate the physical appearance of your business while also improving building insulation. Exterior film is a cost-effective solution that can provide you with a full ROI in as little as two years. A worn down exterior can make your business look unprofessional. Exterior window film offers a solution for restoring chipped or damaged glass without the expense of window replacement. Your exterior film can be completely customized to give your building any appearance you desire. We’ll work with you to find the right solution by offering suggestions and providing Photoshop renderings of what your building could look like with different styles of film. Damaged glass not only looks unpleasant but it also negatively affects the insulation of your building. That’s because a large amount of heat transfer occurs through glass surfaces. Exterior window film adds an extra insulating layer to your windows to make your building more energy efficient. It also helps to block out unwanted heat and glare from the sun to make your office a cool and comfortable environment. Exterior window film is the best solution for windows that are high up or in hard to reach places. 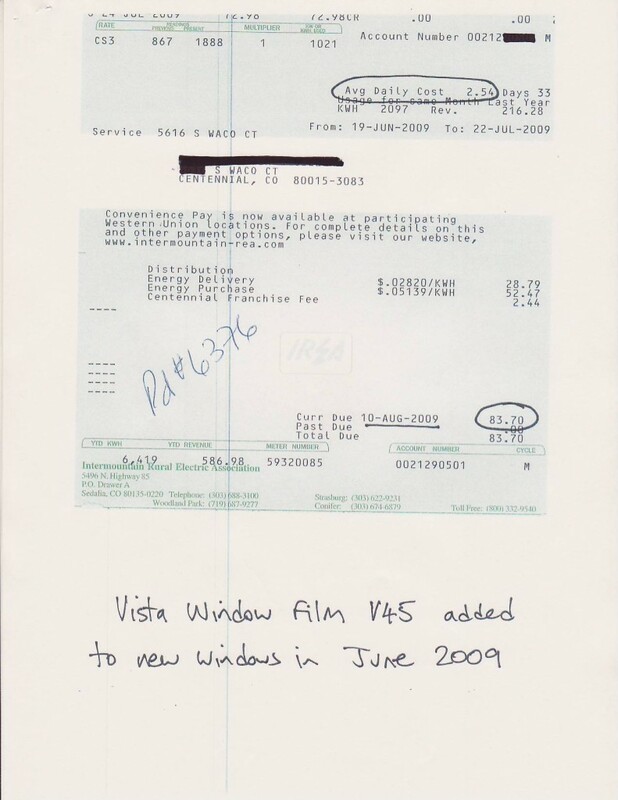 Interior films are difficult to install in these areas, so exterior film makes more sense. It’s a smart option for restoring glass ceilings, domes, skylights, or windows in high rise commercial buildings. Give your building a more pleasant exterior. 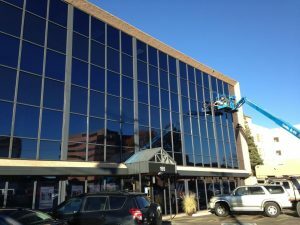 Call Colorado Springs Window Film to schedule an appointment to have exterior window film installed for your Colorado Springs business.